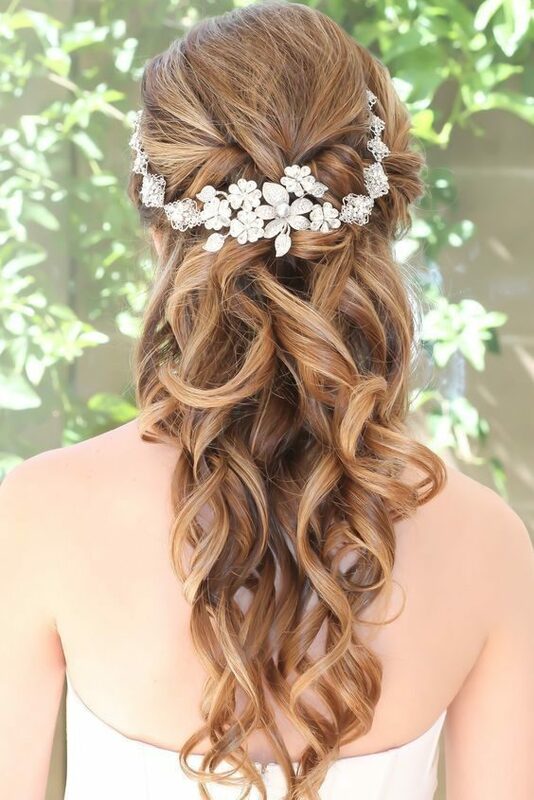 Every bride knows that behind a beautiful wedding dress there is always a dazzling and fantastic hairstyle to go with it. No matter what kind of wedding you have, there is always a style that matches the most special day of your life. 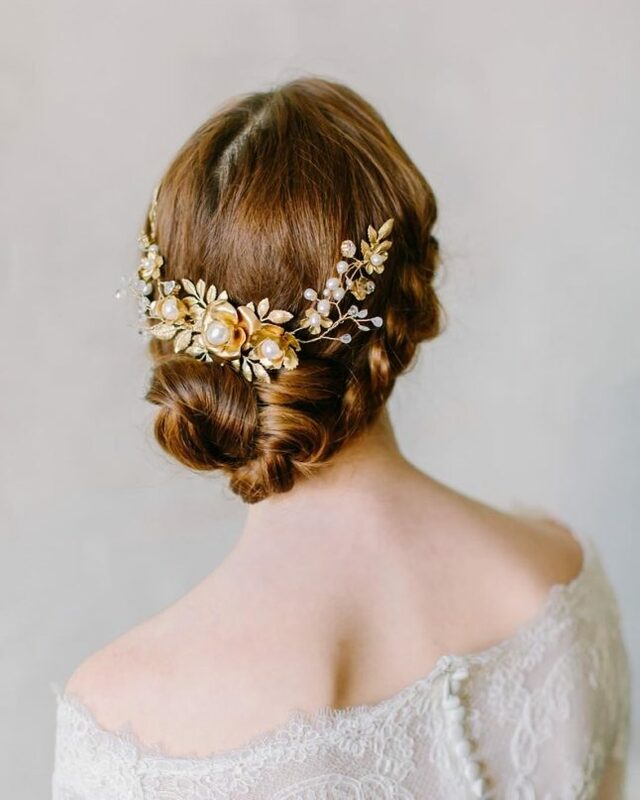 Get inspired by these gorgeous styles that accommodate each and every type of bride and will leave you looking marvellous on your big day. 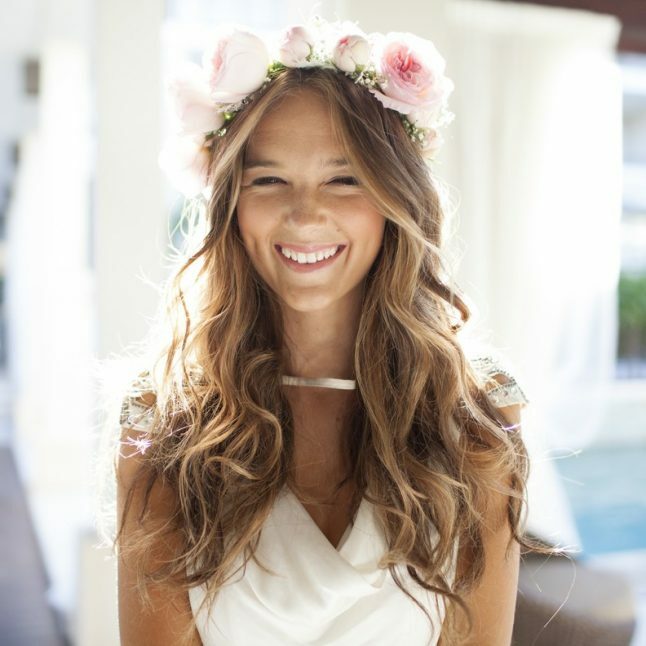 A floral tiara makes an otherwise casual look, seem festive. To achieve this look, comb a moisturising mousse through damp hair, then blow it dry with a diffuser and finish by curling the hair using a small curling iron. A relaxed hair-do creates a style that is sophisticated yet absolutely charming. Pinning and twisting long hair loosely around creates a messy and effortless upswept hair style that looks less structured and more romantic. 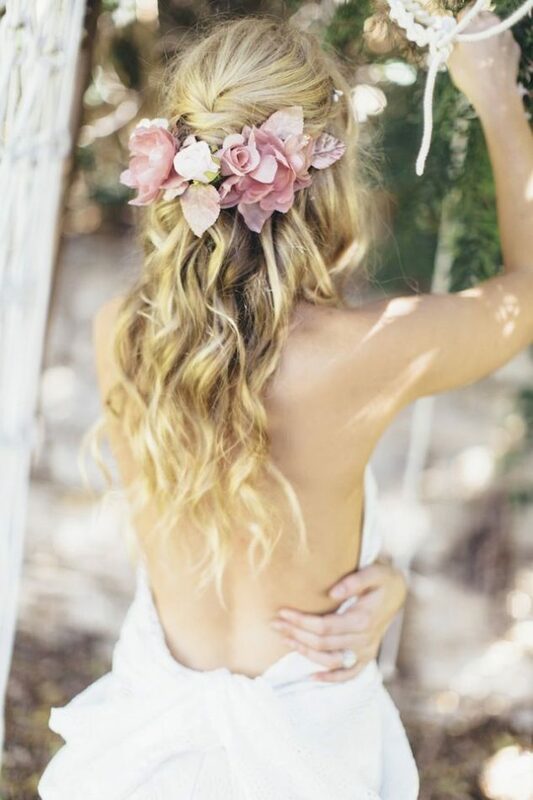 This simple half up, style is perfect for the brides getting married outdoors that can be easily accessorised with a comb, headband or fresh flowers. Lightly add volume to the hair at the crown before pulling it back to create an extra height on the top of the head to help balance out the fullness of the curls. 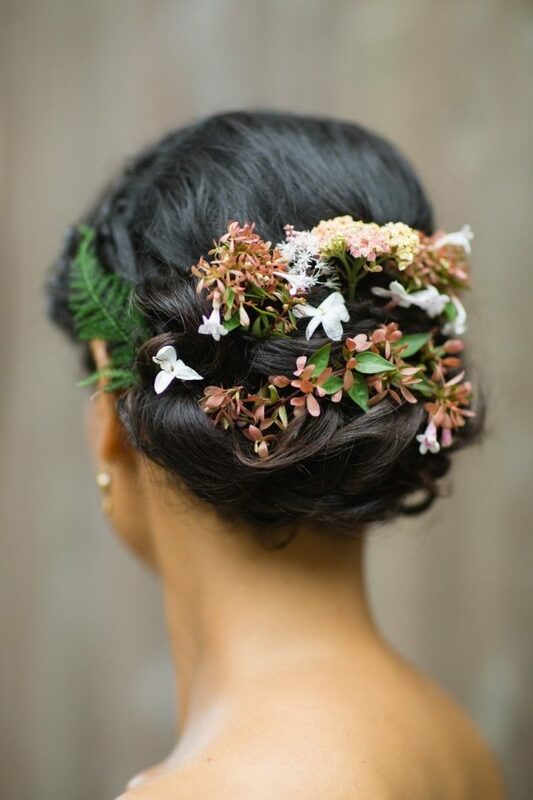 The side bum is a flattering style that suites most brides A beautiful and delicate hair accessory makes this off-centre chignon party-ready. To create a fuller bun add extra volume to the hair at the base of a low ponytail before twisting it into a knot. 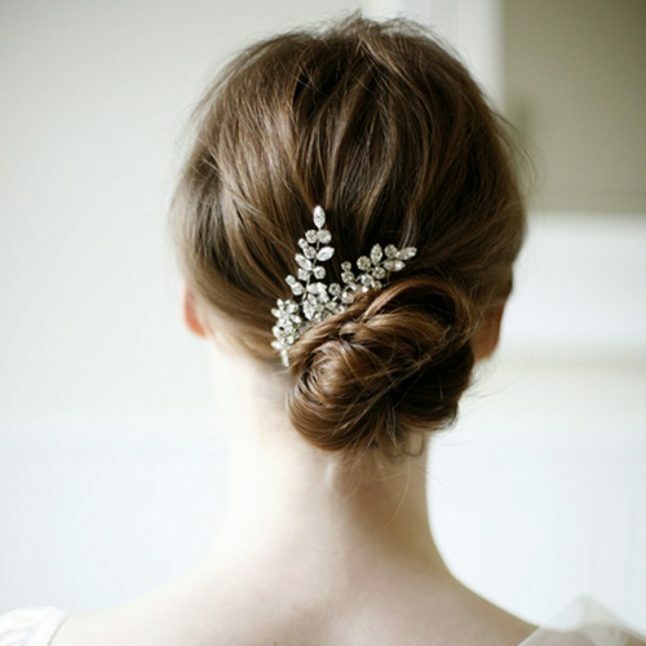 An elegant and classic up- do that looks great with a tiara or headband. Start this look with a french twist instead of a ponytail. It’s easier to form the bun when the hair is already twisting from its base. If you begin with a ponytail, the hair tends to hang straight down rather than twist up. For a hair-do that is polished yet natural, try these loose waves . Use a thickening spray on damp hair before blow-drying and wrapping individual sections around a curling iron. The spray is a great addition to the hairstyle because it helps keep the finished curls from wilting before the evening is over. A sleek, low chignon accessorised with a single comb on the side of the head gives this otherwise demure style an air of drama. Work a silicone serum through damp hair before blow-drying to boost shine and control flyaway hairs. A voluminous french twist with a Swarovski hair comb creates a hairstyle that has an au-courant feel while maintaining a classic and elegant look. Back-comb your hair before attempting this look because then you will be able to achieve the required volume.